Lucille Condo | Transportation & Location: The Lucille Condominium is located in the H Street Atlas District on on H St NE between 13th St NE and Linden Ct NE. The closest Metro Stations to Lucille Condos are Union Station and NoMa-Gallaudet U on the Red Line. The nearest grocery stores are the Safeway at 1601 Maryland Ave NE and the Whole Foods Market at 600 H St NE. STUNNING PH! 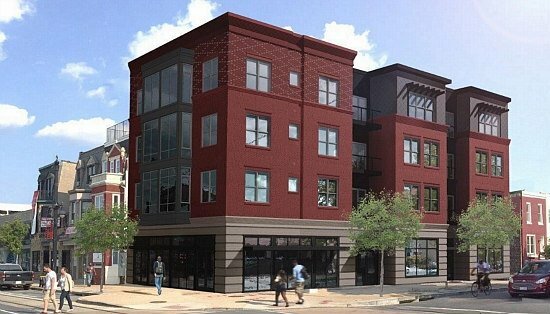 The Lucille is H Street's hottest new address for those looking for an absolutely stunning residence. Striking NEW CONSTRUCTION. Expertly designed, meticulously curated, finely crafted. Features include; custom designed and hand made cabinetry, Cobalt Blue Viking range, Honed Marble Countertops, Pella Windows, Custom all wood vanities w/marble tops, 5 panel solid core door, Floor-to-ceiling windows, Rooftop Deck, Elevator. The Lucille Condominium | Additional Information: Also known as The Lucille Condos, The Lucille, The Lucille DC, The Encore Condo DC. The Lucille Condominium is located at 1301 H St NE, Washington, DC 20002.